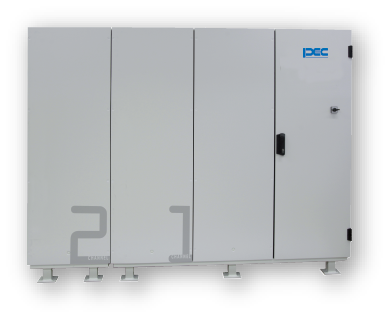 PEC offers a 600V-600A and a 1000V-500A system with either 1 or 2 channels. The systems are programmable using the standard PEC LifeTest application, offering a user-friendly environment for configuring and analyzing drive cycles and other energy storage simulations. The SBT600600 is a 1 or 2-Channel Battery Tester, ideal for testing and evaluating system level and high voltage battery packs for automotive (PHEV, HEV, EV, …), grid and other energy storage applications. Our equipment is designed with high flexibility for R&D, end-of-line testing, QA and all other applications in order to measure and verify the reproducibility of power output, service life, efficiency, safety and ease of use of the batteries. Preparing a test can be done off-line on an existing desktop PC, running our LifeTest™ application. The End User can configure the specific test by filling out the Event Table with the individual cycle steps. 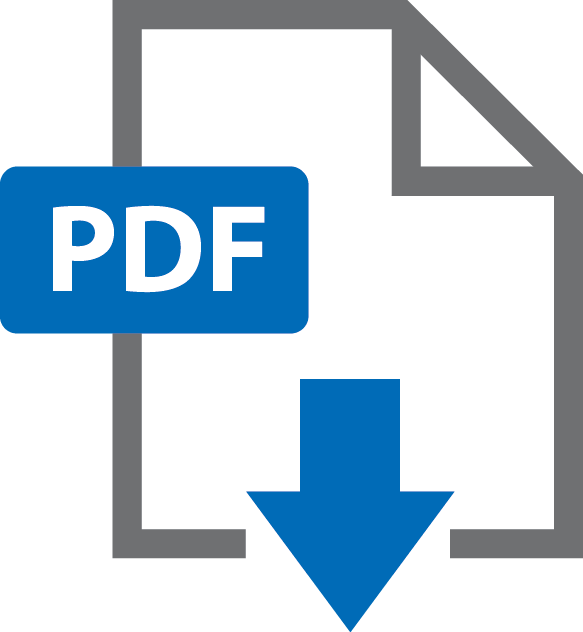 For complex or (H)EV cycles, the software allows a direct import to the events through a preformatted CSV file. The system supports high speed current, voltage, power loads with control and sampling up to 1 msec. 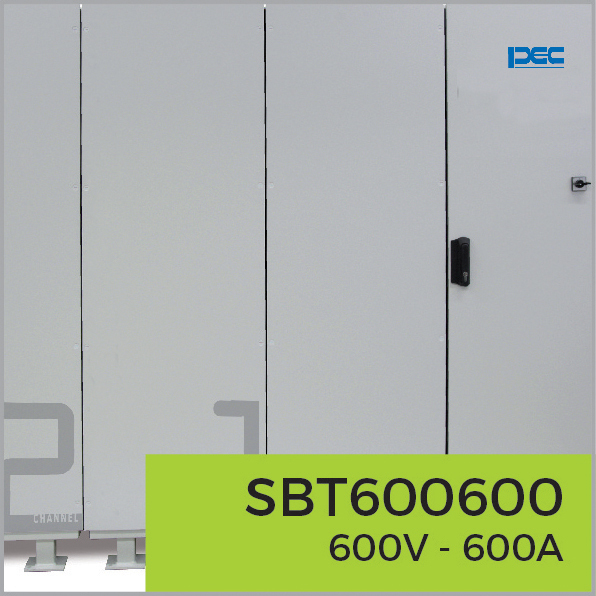 Our SBT600600 system will give you fast switching capabilities between charging and discharging modes, guaranteeing the accuracy you need. Battery Management: using a CANbus interface the unit can communicate with and monitor the battery management system to obtain additional data, such as the individual cell voltages and temperatures. The system is water cooled, which will evacuate the remaining heat losses directly outside the lab. All other discharged energy is returned to the local grid. In large installations, energy recuperation can be considered as well. The SBT1000500 is a 1 or 2-Channel Battery Tester, ideal for testing and evaluating system level and high voltage battery packs for automotive (PHEV, HEV, EV, …), grid and other energy storage applications. The system supports high speed current, voltage, power loads with control and sampling up to 1 msec. 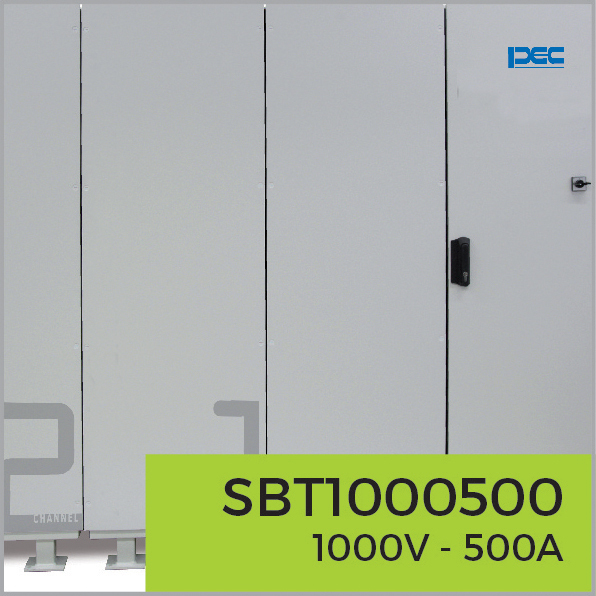 Our SBT1000500 system will give you fast switching capabilities between charging and discharging modes, guaranteeing the accuracy you need.